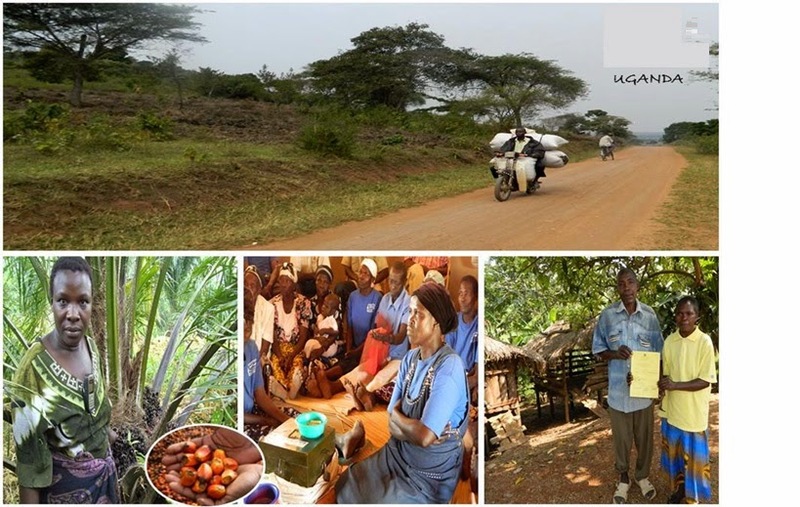 In conjunction with the Ministry of Finance Planning and Economic Development (MoFPED), the IFAD Country Office in Uganda held the maiden annual COSOP/Portfolio review. The review meeting took place on 13 November 2014, hosted by the Ministry of Finance and chaired by the Deputy Secretary to the Treasury, Patrick Ocailap.In attendance were representatives from development partners, farmer organisations, CBOs/NGOs, and other government ministries. "IFAD projects may appear to be few but the impact is tremendous." Impact of infrastructure development in rural areas. Going forward, the pledge by Government and other partners is to continue the good practice of working closely together to identify and address challenges, for an improved portfolio. What is this COSOP about? The goal of the COSOP is to increase the income, improve the food security and reduce vulnerability of the rural households living in poverty. There are three strategic objectives – to sustainably increase production and productivity, enhance market access, and sustainably increase access to and use of financial services by the rural population. What is the relationship between the COSOP and Portfolio review? The Government through Ministry of Finance conducts annual portfolio reviews of all development/donor organisations, to keep track of investments made and how these contribute to the NationalDevelopment Plan and Vision 2040. The IFAD portfolio in Uganda is made up of 2 closing projects, 1 start-up project, 1 project under design, and 3 ongoing projects. The COSOP review, for IFAD, is also an annual activity, meant to assess progress in the implementation and achievement of set objectives through the performance of the projects. The review is thus an opportunity to identify what is working, what is not, and why. It is a forum to discuss strategies for enhanced performance in investing in, and bringing rural people out of poverty. Through consultations and discussions with the Ministry (which also chairs the Uganda COSOP Team – UCT), it was agreed that these two meetings be merged to build on the complementary aspects, and reduce costs in terms of time and other resources. Due to a positive working relationship with the Ministry, and the fact that they chair the Uganda COSOP Team, this experimental merging has proved effective, efficient and successful. The stage is now well set for future reviews, and what better way to do this than by working in close partnership with the government, development partners, farmer organisations, and local CBOs/NGOs?